The Dordogne is the number one destination for British buyers heading to France – earning it the nickname of ‘Dordogneshire’. However, despite the influx of expatriates, it has retained its authentically French character, with plenty of charming villages, a relaxed pace of life and appreciation of the finer things! Nowhere is this more so in the region than the so-called ‘golden triangle’. This week, we take a tour of this stunning corner of the Dordogne. Where is the ‘golden triangle’? The so-called ‘golden triangle’ sits at the very east of the Dordogne département, next to the Lot and Corrèze. It contains some of the most beautiful villages in the region, some of which enjoy the official title as such as part of the association ‘Les Plus Beaux Villages de France’. The average house price, according to the Notaires de France, is surprisingly low – just €120,000. A popular option among expats is to buy a renovation property, often a small farmhouse with a large barn, and to do it up into a spectacular family home, B&B or holiday property. How is access from the UK and Ireland? There are a surprising number of airports for somewhere that is pretty much part of the rural France profonde. Bergerac-Dordogne-Périgord and Brive-Souillac are the two closest ones, with a larger airport further south in Bordeaux. Brive is the closest to the region, with flights to London Stansted. From Bergerac, you can fly to London, Southampton, Birmingham, Exeter, Leeds-Bradford, Manchester and East Midlands. To the island of Ireland, you’ll need to fly from Bordeaux, with flights to Dublin, Cork and Belfast. Where are the best places to live in the Dordogne’s ‘golden triangle’? You can almost point at a map and be sure to stumble on somewhere beautiful, but we do have our favourites. Sarlat-la-Canéda is a member of the ‘Plus Beaux Villages’ association and is on the nomination list for UNESCO World Heritage status. Largely car-free, it’s peaceful, albeit busy in summer, and has a strong local community. You’ll find all the services you need in easy reach, including numerous bakeries, grocery shop, doctor’s, market and more. The village is a bit of a foodie destination, known for its foie gras, not always appreciated by British visitors, and its pommes sarladaises. Sarlat-la-Canéda is one of the most popular areas in the Dordogne. wjarek/Shutterstock.com. 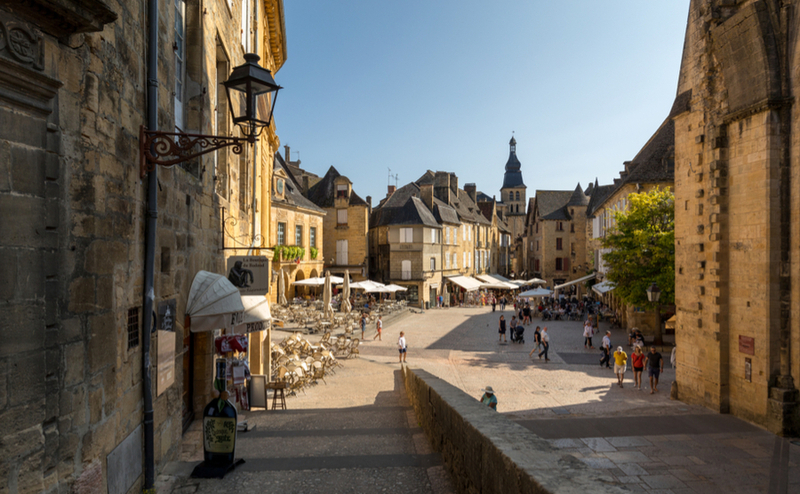 Domme is another member of the ‘Plus Beaux Villages’ and, like Sarlat, has a thriving sense of community and history. Properties here are generally historic and often sympathetically restored, with many-storeyed townhouses in the centre and more spread-out homes with land the further out you go. Castelnaud-la-Chapelle is an icon of the Dordogne, with its quaint castle towering over the valley below. The narrow streets around the mairie have a number of restaurants and bars, while the village has great access out onto country walking. How do you purchase property in the Dordogne? The buying process in France is relatively well defined and the notaire will ensure documents are legally correct. However, the steps to doing so are different in the UK, so don’t miss your free Guide to Buying in France, explaining the bon de visite, compromis de vente and more. 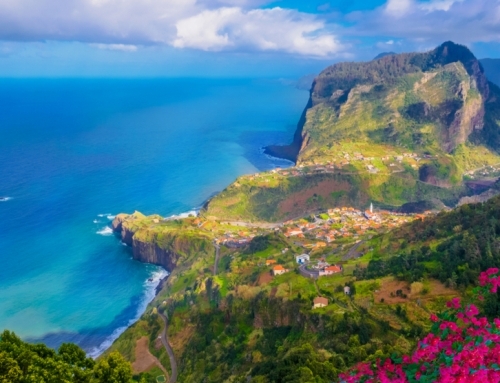 Don’t miss your free tickets to the next Your Overseas Home shows in Birmingham, Chester, Harrogate and Epsom to meet property, financial, currency, legal and removals experts from Portugal. Who are the key players in the Italian property-buying process? What should you look out for in an investment property in Spain? Where you should live to enjoy Italy’s best regional dishes? What are the different types of house you can buy in France?